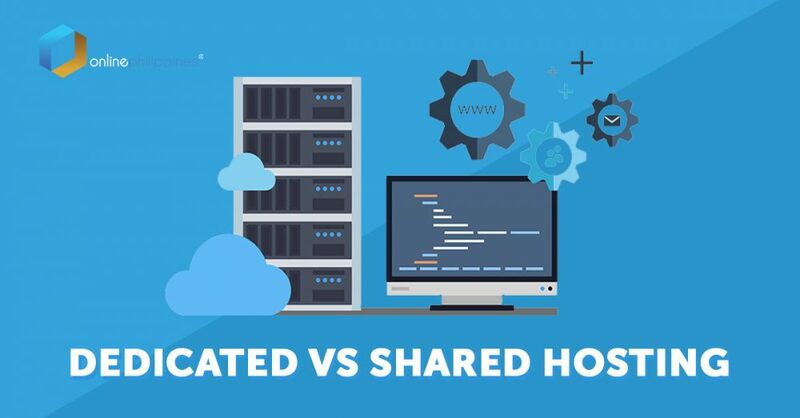 02 Mar Dedicated VS Shared Web Hosting: Which One is Right for You? You want to create website but you’re unsure when it comes to website hosting. Your website can be a simple blog, portfolio, business website, or even an e-commerce website, but any and all of these would require web hosting before it could be accessible to the public. Before you choose which one’s for you — here’s a rundown on why a dedicated server might be a better option for your business. There are three things needed to make a website go live: Website Files, Domain Name, and Hosting, which includes the server. The Domain is the name (.com) for the website itself, the file is what the developers work on by coding, and finally, the hosting is what makes the website visible to the public. Web hosting allows organizations and individuals to post a website or page to the internet. A web host is a business that provides the services needed for website or page to be accessed in the internet. These websites are stored on computers called servers. A developer can create or develop a website and even purchase a domain name, but until the website is “hosted”, the public will not able to access the live version of the site. Imagine a portable hard drive as a server. It’s a device that is used to store files. A shared server means that there are multiple users sharing the same “hard drive” as you. These servers are not yours alone because most of these servers have other customer accounts and websites. So, when you have a shared hosting — it means that you are not alone in using that particular server. Basically, in simpler terms, like an apartment for rent, the reason why a shared option is cheaper than dedicated one is that you are only paying for a sub-lease instead of the whole rent, at the expense of having roommates. On the other hand, a dedicated server gives you complete control over everything in your website’s backend as opposed to a shared server. A dedicated server is usually rented which provides a stated amount of memory, hard disk space, and bandwidth, that is ALL YOURS. With a dedicated server, you can control what files are placed inside the server, adjust security settings, limit the bandwidth each of your website gets, and allot a specific memory for each website file, basically, with a dedicated server, you have complete control, therefore, have better security and expose yourself to less risks. HOW IS A DEDICATED SERVER BETTER? With a shared server, you have more risk of being blacklisted by mail and search engines because someone else from your server may be spamming which could cause the entire IP address of your server blacklisted. Having the server all to yourself ensures that you have complete control over what data are being sent and received by your servers. With shared hosting, disk space and bandwidth allocated to you is limited because you’re sharing it with others while with the dedicated server, the limit is customizable to your needs. You can have multiple websites of yours hosted on the server and provide allocations and quota on the disk space each website gets. You generally have no full control when it comes to shared hosting. Meanwhile, with a dedicated server you control everything in your website such as adding their preferred programs, applications, scripts, and increasing security. With a dedicated server, support is better and prioritized. Companies offering these have dedicated teams who respond to inquiries of sites being down faster as compared to regular shared hosting. Since there are also a limited number of files inside the dedicated server, finding and resolving the source of malware or virus is faster and more efficient. It also enables the support team to perform a cleaner sweep of your server. Finally, since the files in a dedicated server are limited, sites load faster as compared to regular hosting. Do you ever notice why some website platforms that offer “free” websites and hosting take forever to load? It is because there are hundreds of other websites sharing that server, competing for your bandwidth. Public hosting may be cheaper per annum compared to a dedicated server, but what happens if you get hacked? Websites contain sensitive information such as user data, credit card details, addresses etc, especially for Ecommerce Website Development. Are you willing to risk your source of income just to save a few dollars per year? With public hosting, one flawed website from another person can serve as a gateway for hackers to get into the whole server, therefore infecting all other websites stored and hosted under that server. As they all say, prevention is better than cure. Google’s “Mobile-geddon” lands on the Internet... With the latest update by Google, non-responsive websites will be ranked lower on search results. What can do you about it? How to Turn Your Website into a Lead Generating Ma... Transform your website into your lead generating machine to save on your marketing costs! Great article! If you’re on a budget where a shared server can give all of your needs go for it and just upgrade to a dedicated server if your site/application is continuously growing. That’s how many startups do nowadays since it is easy now to transfer from one server to another. Agree, the good thing about shared private servers is that it is also scalable. So as your business grows, your server requirement grows as well. Migration is not a problem anymore so less downtime is needed to transfer to a dedicated one.